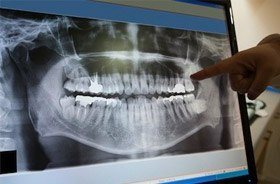 Digital radiographs offer dental patients several outstanding benefits when compared to the traditional film X-ray. For instance, radiation exposure is significantly reduced for a much safer diagnostic experience, and pictures are available instantly instead of following a tedious darkroom development process. The X-rays are also more detailed and can be archived in our electronic files, resulting in easy access later on and reduced environmental waste. If you would like to learn more about these benefits, contact Torrington Dental Care today.